The low buy-in poker tournaments have been attracting local players in various markets since the series’ first launched in the UK in The Hippodrome Casino in April, PokerStars MEGASTACK has attracted over 4,818 entries to date and is continuing to expand its new live tournament series after successful launches in the UK, Ireland, Belgium, and France, with plans also in place to debut in New Jersey this October. The latest stops across Iberia will be cheap and deep with 50,000 chips awarded for just a €170 buy-in. 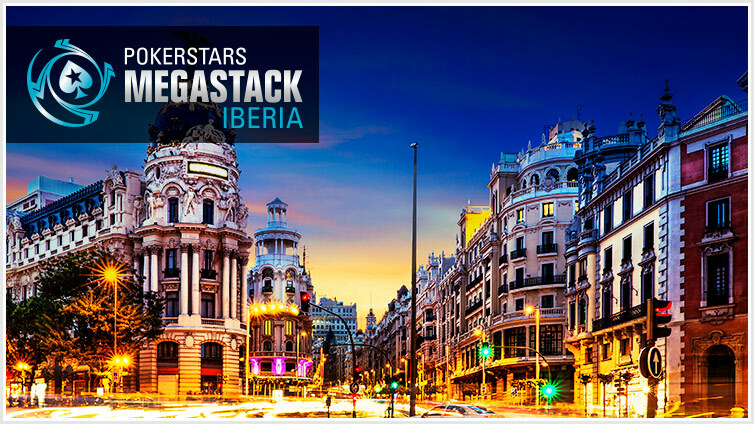 The MEGASTACK series will surely spice the weekend up as some players will get to walk into work on Monday as the office hero with a coveted PokerStars trophy for winning one of the €40,000 guaranteed PokerStars MEGASTACK Iberia events. PokerStars MEGASTACK events offer a space for players to get comfortable at the tables and hone their skills without breaking the bank. The series is designed to bring live poker to players’ doorsteps at a low buy-in level, to create an exceptional live poker experience, and to offer players a platform to build their poker career on, towards competing in PokerStars Championship and PokerStars Festival events. These new additions to the series further demonstrate PokerStars’ commitment to growing the game locally and investing in local poker communities. There are many ways in which players can qualify for PokerStars MEGASTACK Iberia with online satellites running on PokerStars .es and .pt for as little as €6. More information on PokerStars MEGASTACK can be found here and on the PokerStars Blog here.